During a historic trip to the Middle East, Pope Francis admitted Tuesday that the Catholic Church has had a problem of clerics sexually abusing nuns, that the problem is not new and is ongoing, and that leaders are “working on it,” according to a report from BBC. Although Pope Francis has spoke out against sexual abuse before, and the subject of child sexual abuse by priests has been well-reported by the press for years, this is most likely the first time that Pope Francis has publicly acknowledged that nuns are targets of abuse and that the church maintains a culture of secrecy. He said that his predecessor, Pope Benedict, actually closed a congregation of nuns when he found out they were all being enslaved, some sexually, by priests. 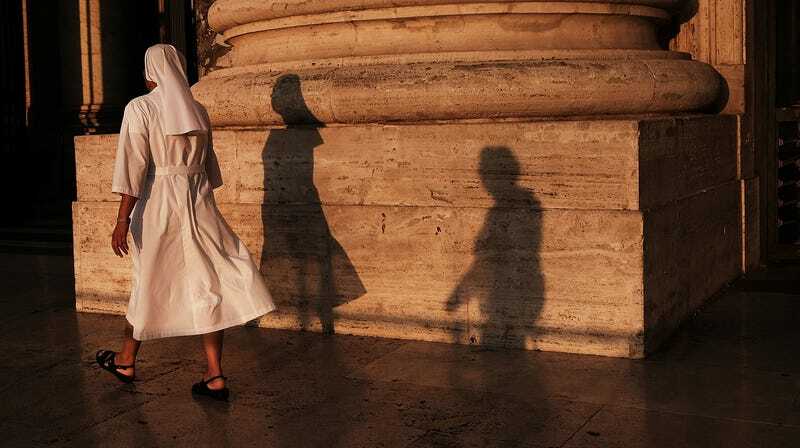 Last Friday, The Tablet reported that Vatican women’s magazine Women Church World wrote that nuns have reported sexual abuse to the Vatican at least since the 1990s, and that MeToo is inspiring them to come forward. The nuns who don’t report their assaults stay silent, according to Women Church World, because they fear retaliation.